Becky Vickers(BECKS) - Everyday Ghost Hunters/Goatman's Bridge Ghost Tours: NAM KOO TERRACE-HONG KONG CHINA-NOT JUST THE MOST HAUNTED HOUSE IN CHINA BUT THE MOST DANGEROUS!!!! 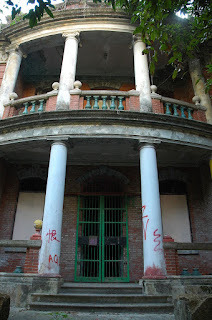 NAM KOO TERRACE-HONG KONG CHINA-NOT JUST THE MOST HAUNTED HOUSE IN CHINA BUT THE MOST DANGEROUS!!!! OMG!!!!!!!!!!!!! I had a great Christmas but man....am I glad it's over!!!! I'm ready to have a little break from shopping. I know....girls aren't suppose to say that. LOL Hope you all had a wonderful Christmas and I hope the new year will bring you many joys and of course.....LOTS of ghostly fun! For me, the new year is filled with all kinds of NEW possibles. 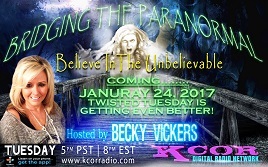 I will be hosting a new show called Bridging the Paranormal on Kcorradio.com. You guys HAVE to listen in so I can be the most listen to host on the network! I have some of the MOST world renowned experts in the paranormal field coming on as special guest. I couldn't be more excited about the lineup for the upcoming year! Listen....when I dream.....I dream BIG!!!! I am hoping to have my first book published this coming year. Not to mention....travel to some of the most exciting places in the world uncovering all kinds of paranormal activity so I can come back and write about it for you guys. And who knows....whatever the NEW YEAR BRINGS..............BRING IT!!!!!!!!!!!!!! So Happy New Year everyone make it a bigger and better one than the last!!!!!! 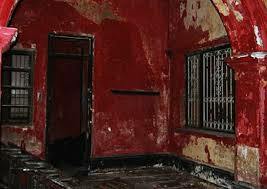 Now, this weeks post is NOT ONLY considered to one of the MOST haunted places in China it is considered to be one of the MOST dangerous!!!!!! This two-story red brick house was built in 1915 by a prominent Chinese businessman. Today it is sometimes referred to as The Wan Chai Haunted House, after the district it is in. Because of its history, Nam Koo Terrace is considered one of the most dangerous haunted houses in Hong Kong. Since the 1900's it has been the stage for countless acts of violence, including rapes, suicides, and murders, the latest in 2009 when a man was found hanging from a tree outside the building. During the Japanese occupation, it was used as a brothel by the military. Numerous local Chinese women were raped and tortured by their captors. The supernatural activity associated with the house has grown over the years. Citizen's have reported hearing bone-chilling screams and seeing spectral fires, headless bodies, and acrid green smoke emanating from the building. Thinking of visiting the building? Think again! In 2003 the Oriental Daily, a local newspaper, reported that a group of eight teenage ghost hunters attempted to investigate the haunting there. During the night, a ghostly assailant assaulted three female members, an experience so frightening that all three were hospitalized. It seems that, once again, Nam Koo Terrance has lived up to its reputation as Hong Kong's most dangerous haunted house.